Now in operation for more than half a decade, since 2008, Bar Bar Black Sheep is still going strong. 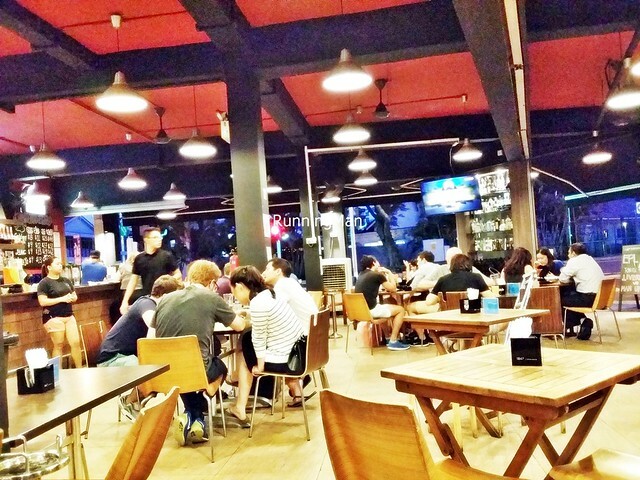 With a name invoking the popular nursery rhyme 'Baa Baa Black Sheep', this quaint bar with several outlets scattered across Singapore was among the 1st to combine casual open-air dining, pocket friendly drinks, and multi-ethnic cuisine under one roof. If imitation is a sign of success, then Bar Bar Black Sheep has got it made, as many other pubs / bars / restaurants have since adapted their successful formula, and followed in their footsteps. Ambience at Bar Bar Black Sheep is designed to be laid-back and casual, with an open-air concept. As the entire floor space is open, it makes for a very welcoming and vibrant atmosphere, though rainy or warm weather does tend to affect it slightly. The cooling systems around the interior help to alleviate the heat of the day somewhat, but it's not as cool as an air-conditioned place. Expect eclectic but solid wooden furniture, colour themes of light brown against black, and warm, dim lighting. 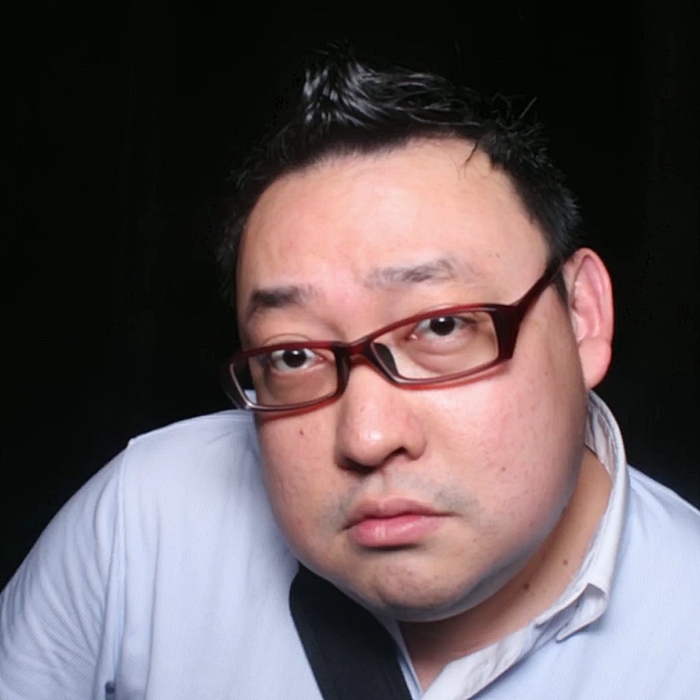 Photography is difficult here due to the low lighting. Service at Bar Bar Black Sheep is casual... too casual. Staff are friendly, and knowledgeable enough to make basic recommendations, but can't describe too much about the food or drinks. Drinks may sometimes be served on wrong coasters, or simply placed the wrong way when presented. They also don't serve complimentary water. Still, I shouldn't complain too much, as Bar Bar Black Sheep has no service charge, and no tax (no GST). At least the service is quick, with good efficiency. 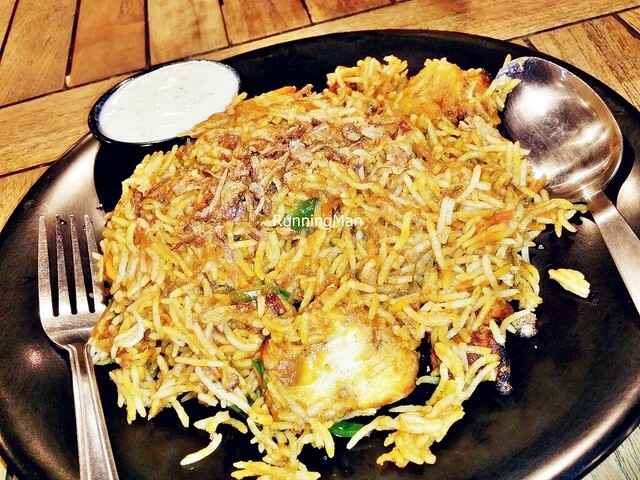 Food at Bar Bar Black Sheep is multi-ethnic, primarily consisting of American, Indian, and Thai cuisine. However, not all outlets feature all 3 cuisines. 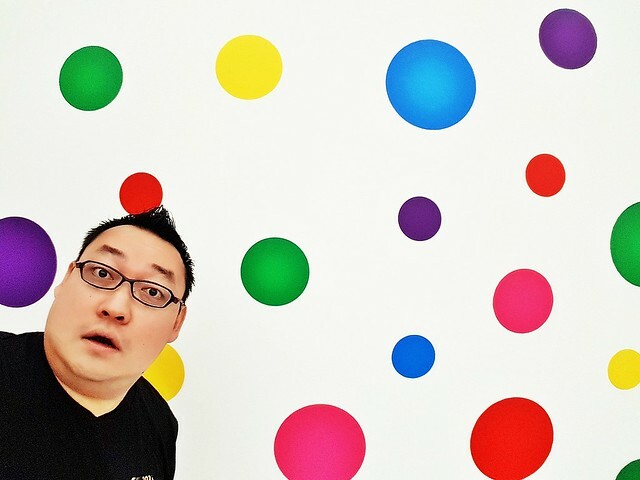 Even if the outlet has the same cuisine, the kitchen preparing it is different, thus, there are also differences in prices from outlet to outlet. I find their food to generally be tasty, good enough to pass a typical cafe standard, much better than a hawker centre / food court, but not as good as a proper fine dining restaurant specialising in that cuisine. Their North Indian & American dishes stood out for me. 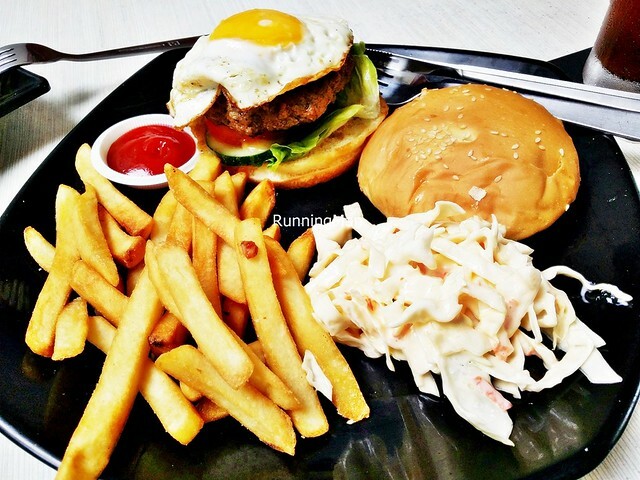 Portions are nicely sized for 1, and prices are wallet friendly for a bar, budget about SGD $27 per person for a meal here. The very open dining area is subject to the weather, but at least there's plenty of ventilation and fans indoors. The low lighting from dusk onwards sets an intimate mood. 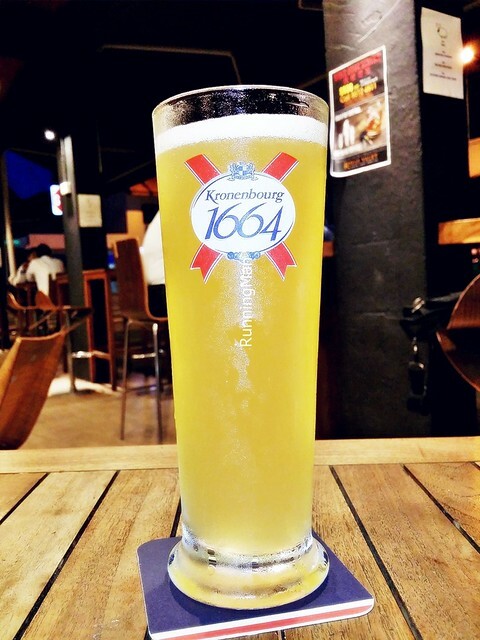 The Beer Kronenbourg Blanc (SGD $13) is available on tap here, which makes this among the cheaper prices you'll pay for this brand. This Belgian white beer has a bright golden colour, with a light, clean body that tastes of citrus and fruits, almost like a juice, very refreshing and easy to drink with little bitterness. Love the fruity flavour it has! 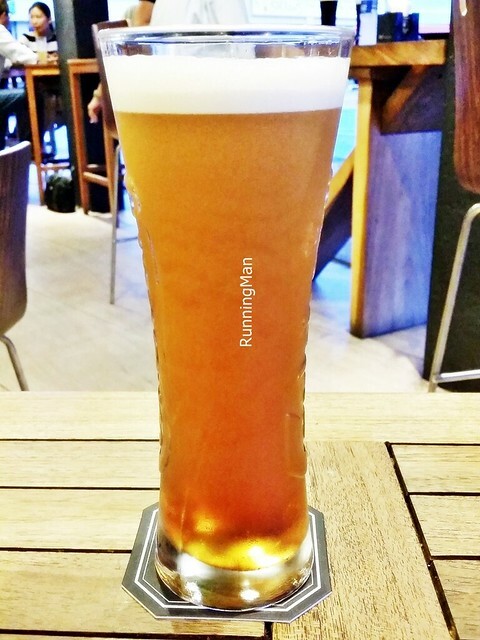 The Beer Tetley's English Ale (SGD $13) is also available on tap, and is a deep orange brew, with a white creamy head, slight flavour of biscuits and caramel, slightly toasty and earthy, with a thin texture and slight bitterness towards the end. 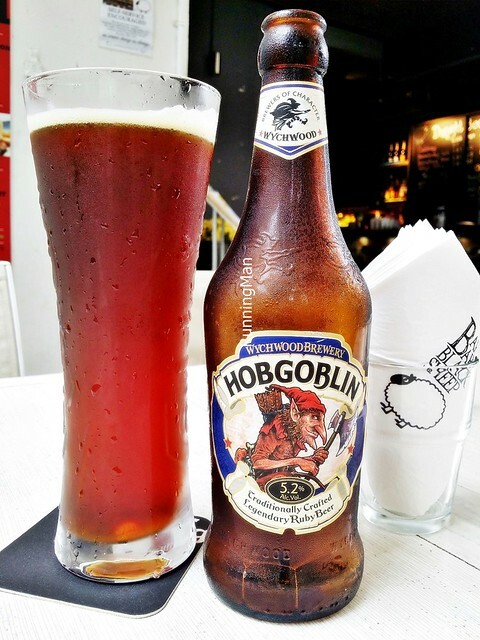 The Beer Hobgoblin (SGD $14.90) I first tried when I was in London, England, and I still love this ruby coloured ale for its chocolate and toffee malt flavour, moderate bitterness, and fruity character. 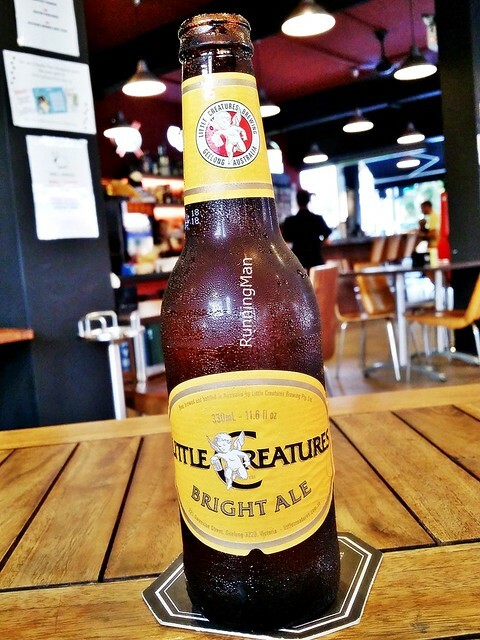 The Beer Little Creatures Bright Ale (SGD $10) is a bright golden Australian ale, with a light, refreshing, smooth body, taste of sweet malt and light citrus, making it easy and pleasant to drink. 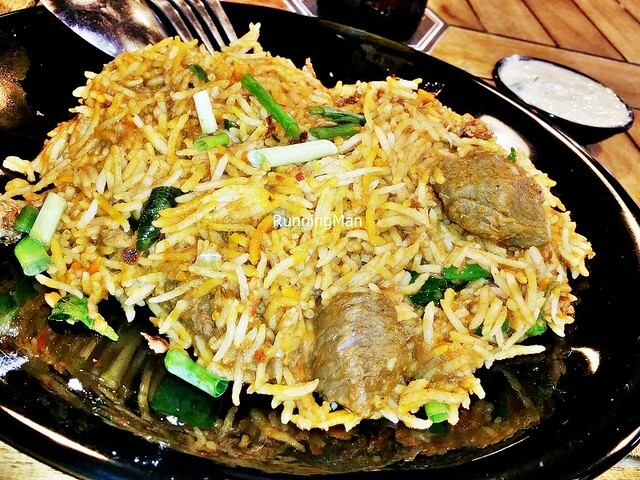 The Biryani Rice (SGD $6) here is well executed, and I feel is among the better version of Biryani in Singapore. 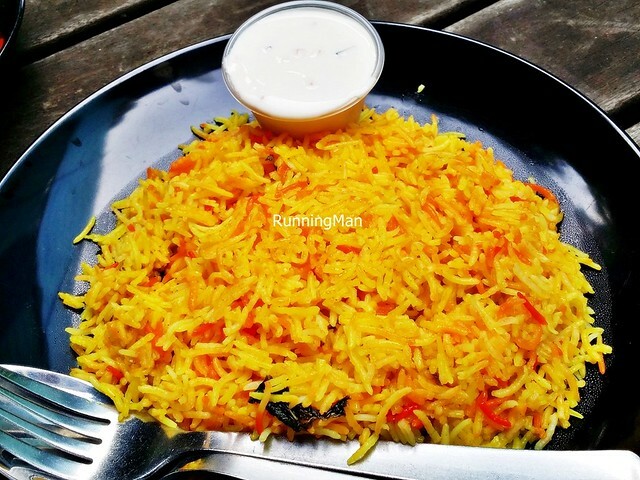 The fragrant, long grain basmati rice separates easily, is light in texture, and is wonderfully balanced with spices, a rich amber orange / deep yellow colour, not overpowering and not too oily. 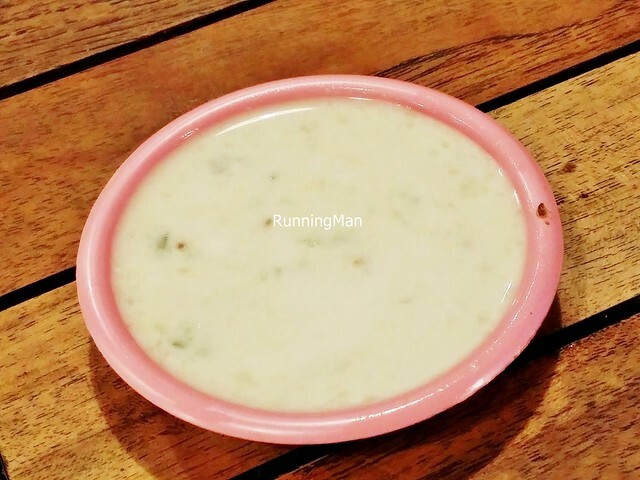 Always served with Raita on the side, the crunch of diced cucumbers in the Raita is a welcome change of texture, but the actual Raita yoghurt itself is a little thin and watery. The Fish Biryani (SGD $12) has generous chunks of fresh, flaky, tender, boneless white fish fillets buried under the fragrant rice. 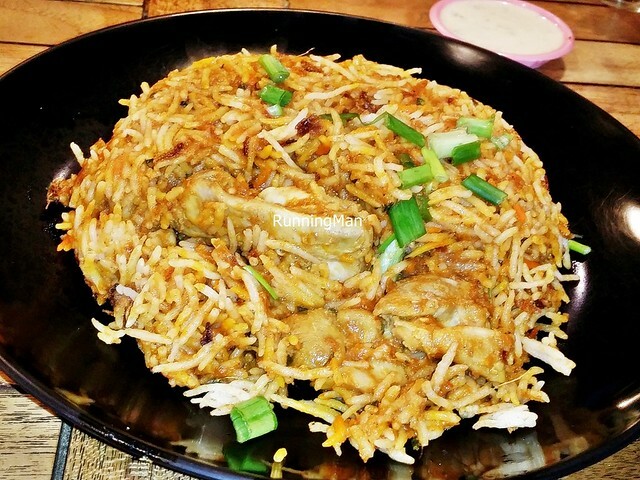 The Chicken Biryani (SGD $11) also has boneless chunks of moist, tender chicken buried within the rice, but the portion of chicken is much less than the others, which surprised me because I tend to think that chicken is cheaper and more readily available than mutton or fish. 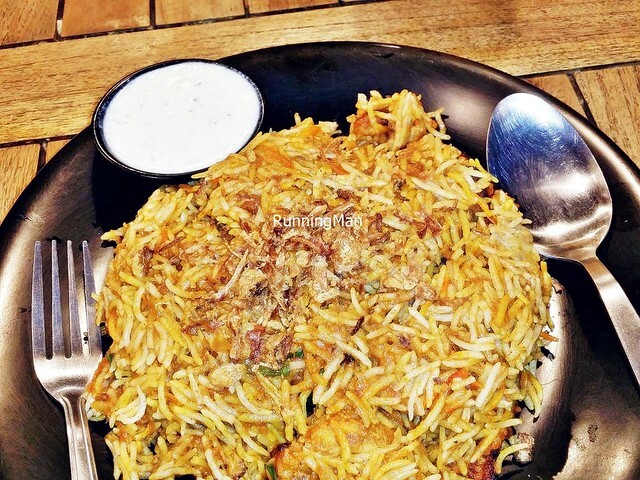 The Mutton Biryani (SGD $13) is similarly served with a generous portion of mutton meat, and I like that it's already in bite sized pieces, making it easy to eat. 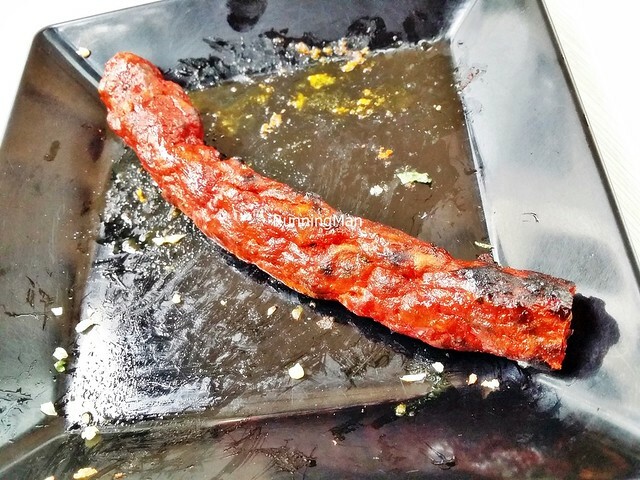 The meat is semi-tender, with a slight chew, but fortunately isn't too gamey in taste. 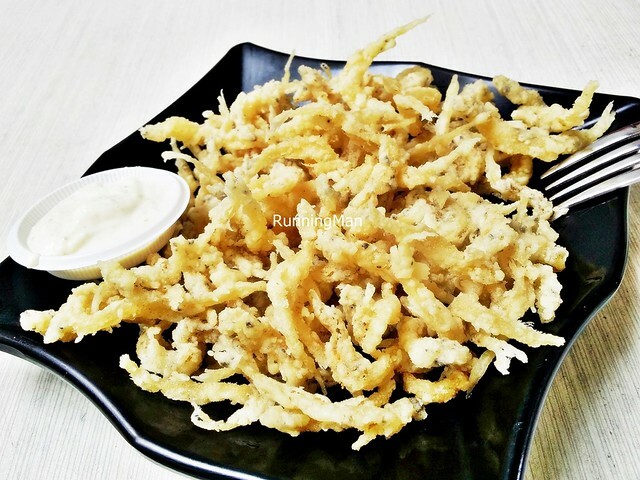 Love the crunch of the savoury Peppered White Bait (SGD $9.90)! Not too oily, not too salty, but so crisp and satisfiying, this makes for a perfect bar snack or appetizer! 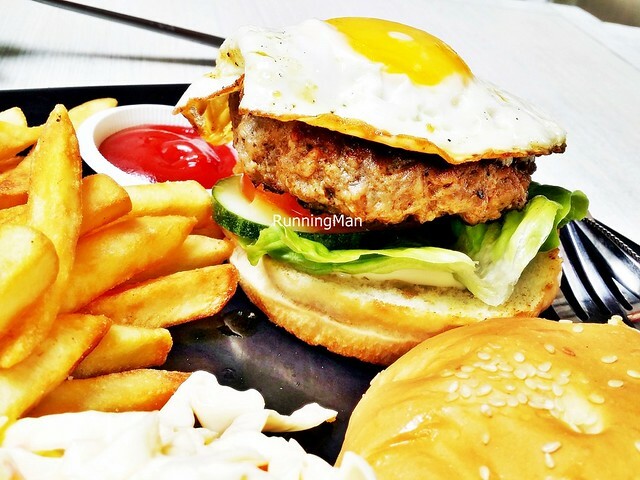 The Blue Cheese Burger (SGD $15.90) features a thick, meaty, juicy, hand formed minced beef patty, with sliced cucumber, tomato, and lettuce, sandwiched between toasted buttery sesame seed burger buns that are spread with blue cheese. 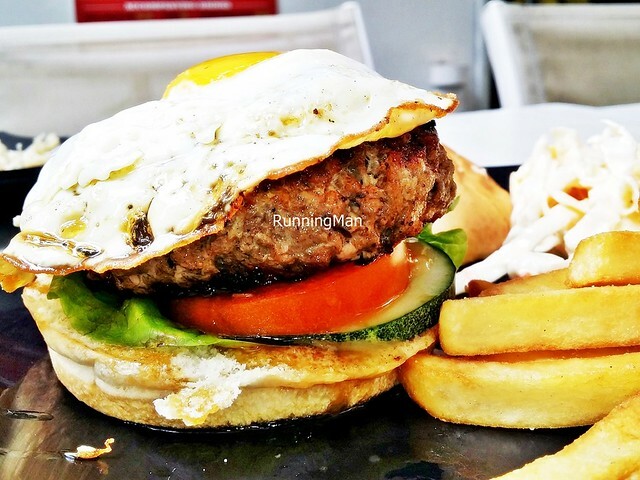 The result is extremely flavourful, you get the moist beef which has a smoky grilled taste, the tangy sharpness of the blue cheese, and the messy juices of the vegetables, followed by the earthy taste of the burger buns. Real simple, but real good. 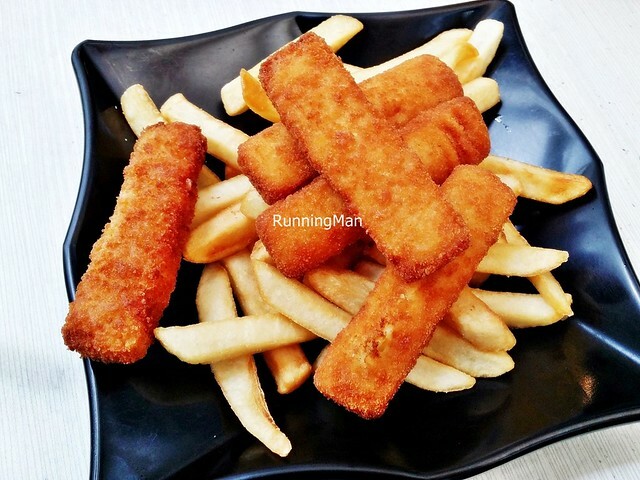 The Fish Fingers & Fries (SGD 8.90) is part of the kids / children's menu, and is quite a big portion for kids. The fish fingers are nice, hot and crisp, while still retaining the moist, flaky fish within. I find it poor value for the quality, as it's processed food, although it makes a good bar snack. 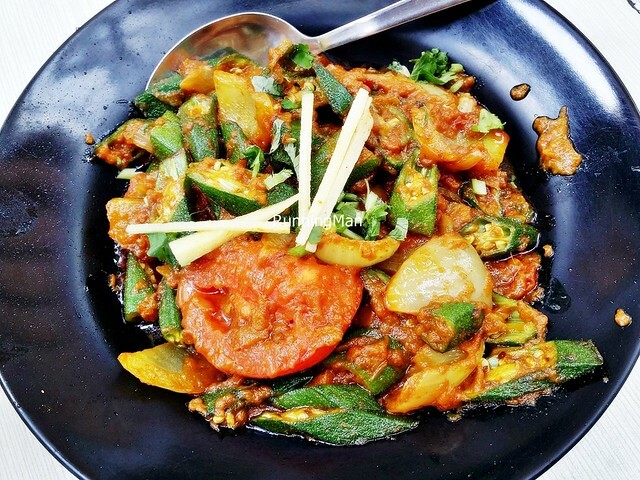 The Kadai Fish (SGD $13), otherwise known as Fish Kadai Amritsari, is a dish of pre-marinated boneless fish fillets, stewed in a spicy curry along with green bell peppers / capsicum, onions, and chopped tomatoes. I like that the fish here is fresh, and in large portions, big enough to share. The spice level of heat seems to be toned down though, I guess to appeal to more people. Fortunately, the vegetables are fresh! This dish pairs well with rice, or Indian breads. 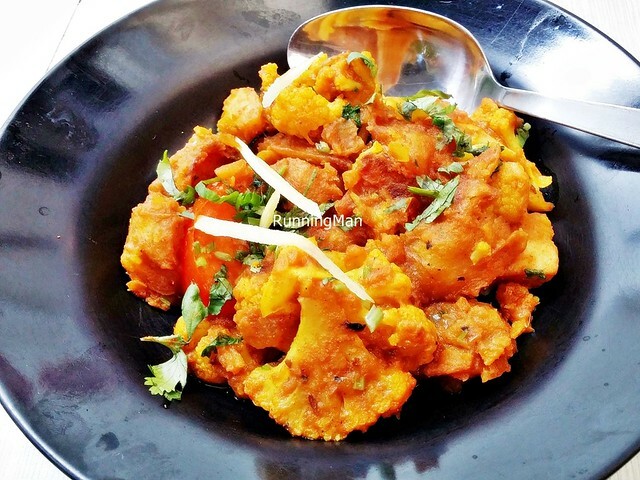 The Aloo Gobi Matar (SGD $7.20) is a popular vegetarian dry curry dish, made with potatoes (Aloo), and cauliflower (Gobi). I like the overall texture, the potatoes and cauliflower are soft, without being mushy. But the spices are somewhat muted, and let down the overall taste. 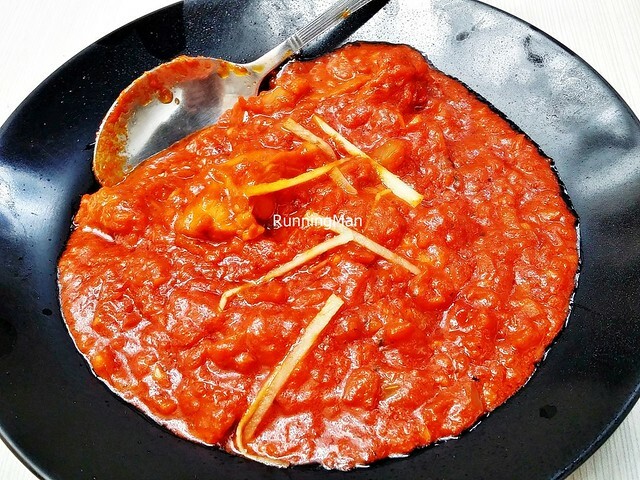 The Bhindi Masala (SGD $8.40) has chunks of tomatoes, onions, okra (Lady's Fingers) in a mild dry curry. Pretty good, I like that the okra / lady's fingers are soft but not mushy, and the tomatoes are juicy. Rather oily as a dish though. 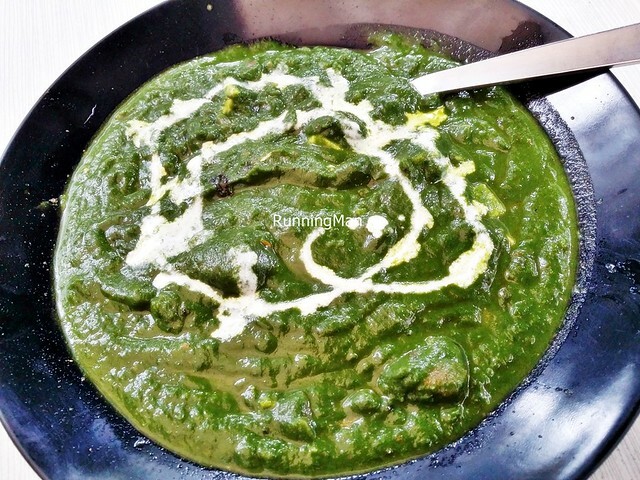 The Palak Paneer (SGD $9.60) has a thick, creamy texture to the spinach, with a slight sweetness from the use of onions. 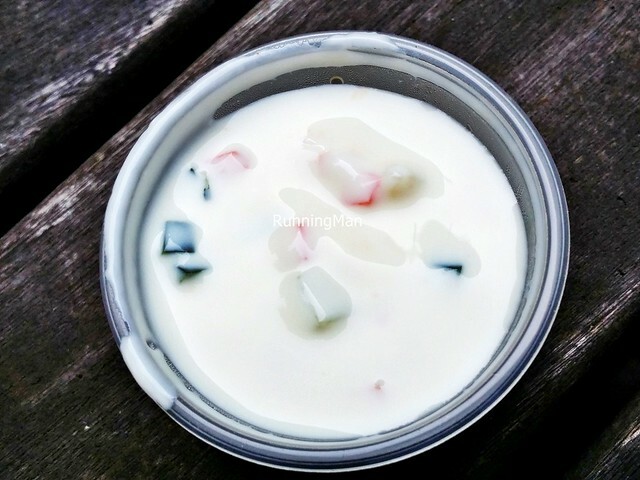 The cottage cheese is soft and yields easily to the bite, and doesn't have an unpleasant smell. Great with just about any Indian bread or rice! The Chicken Tikka Masala (SGD $12) has generous portions of marinated, boneless chicken chunks, in a creamy, rich, mildly spicy gravy. 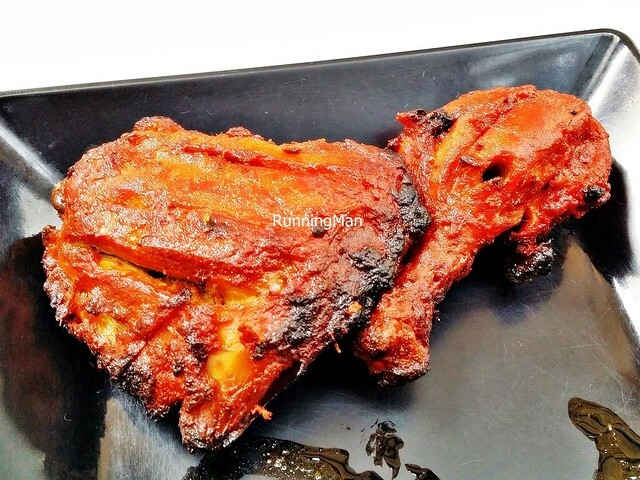 The chicken meat is tender, and has a nice, savoury hint of grilled smokiness. The gravy really stands out here, with just a touch of coconut, and a velvety, buttery smoothness to the texture. Goes great with Indian rice or breads! The Chicken Masala (SGD $12) differs from the Chicken Tikka Masala. 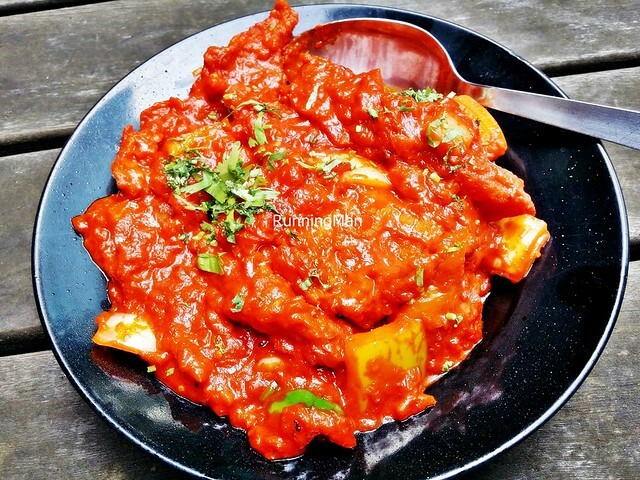 While the Chicken Tikka Masala has a hint of savoury from the grill and the marinade, the Chicken Masala is sweeter, with a mildly floral essence from the use of tomatoes and onions. 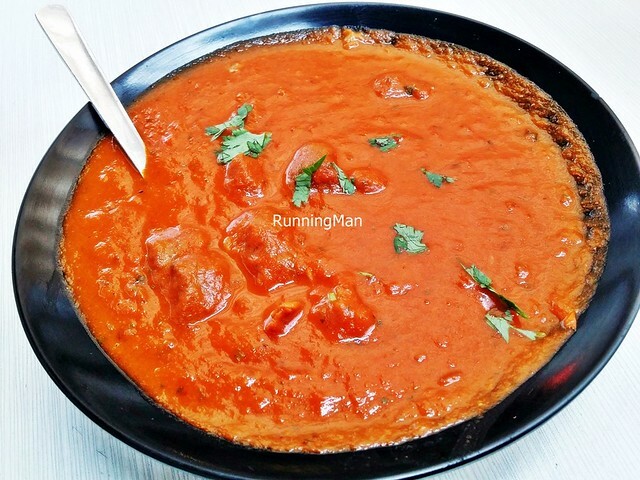 The Chicken Masala is also a dry curry, as opposed to the Chicken Tikka Masala which is a wet curry. 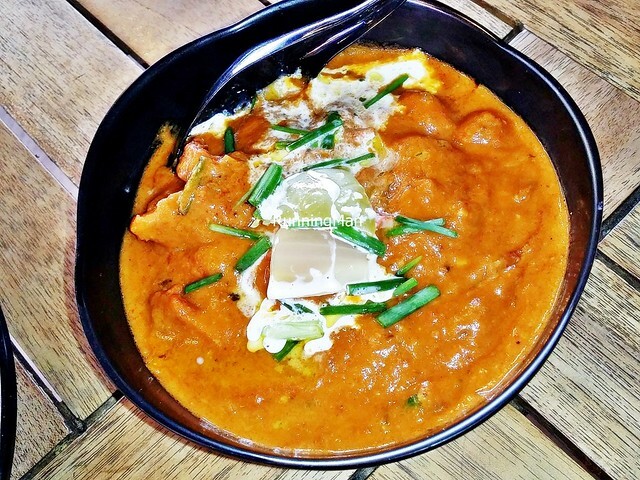 The Butter Chicken (SGD $12) here is very good, with a creamy, buttery, savoury, wet curry gravy. The chicken meat is tender, but in rather small chunks. Love how tasty and flavourful it is, slight hint of smokiness / grilling, and the dish pairs very well with Indian breads or rice. The Mutton Mysore (SGD $13) features fork tender, boneless chunks of mutton, in a thick, fragrant, savoury dry curry. How this differs from versions elsewhere is the use of dried red chili, which lends a slight heat that lingers in the mouth, as well as enhancing the aroma of the dish. Overall very tasty dish, but the price to portion ratio is rather poor. Get this if you're willing to spend slightly more. 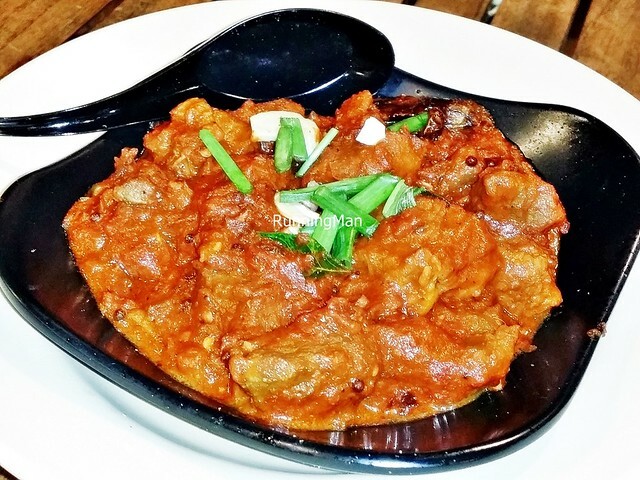 Beware the fiery Mutton Vindaloo (SGD $13)! The spicy burn starts from the very first mouthful of this red hot wet curry, and just continually builds to a roaring volcano. Packed with tender boneless chunks of mutton and soft potatoes, you're still able to taste the savoury meat through the gravy, at least until your mouth goes slightly numb from the heat. Look closely, and you'll actually spot the numerous chili seeds that give this dish its dangerous edge! 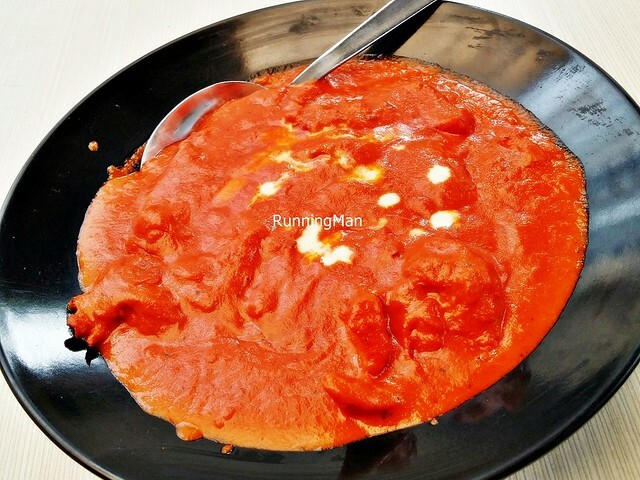 The mild Mutton Rogan Josh (SGD $12) has a wet curry that resembles a tomato bolognese pasta dish. The sauce is rich in flavour, but rather thin in texture. The mutton is tender and I like that it isn't gamey. Not the best version I've had, overall rather average. 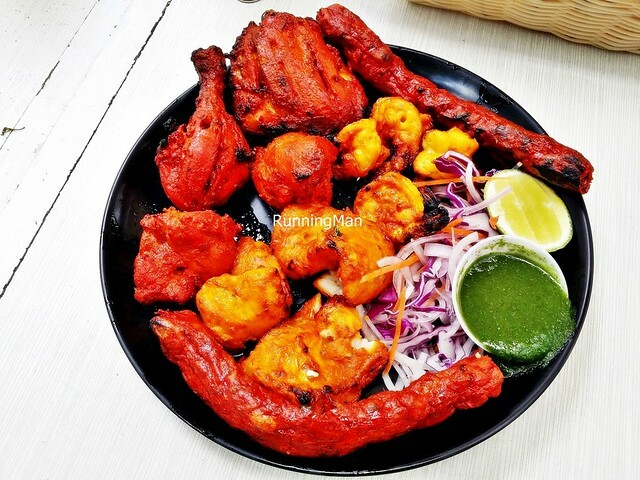 The Tandoori Platter (SGD $24) is a huge plate of North Indian style meats, with some lettuce on the side, and a wedge of lime and mint sauce for garnish. The Chicken Tikka has good flavour from the spices and marinade, but is slightly dry, and needs the mint sauce for moisture. 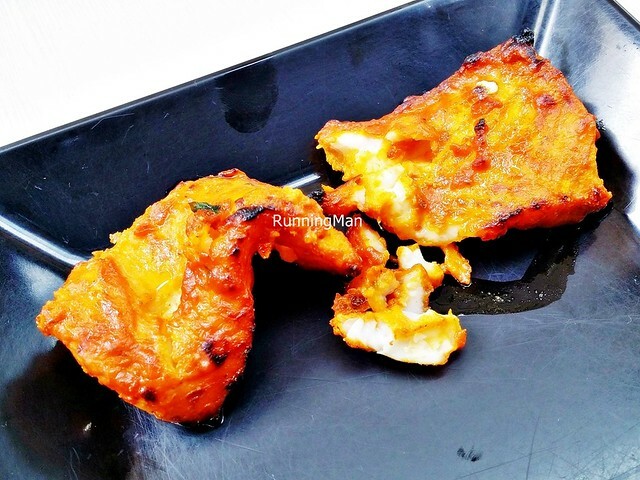 The Fish Tikka is beautiful, with fresh, firm fish fillets that flake off easily, and are so moist and tender. 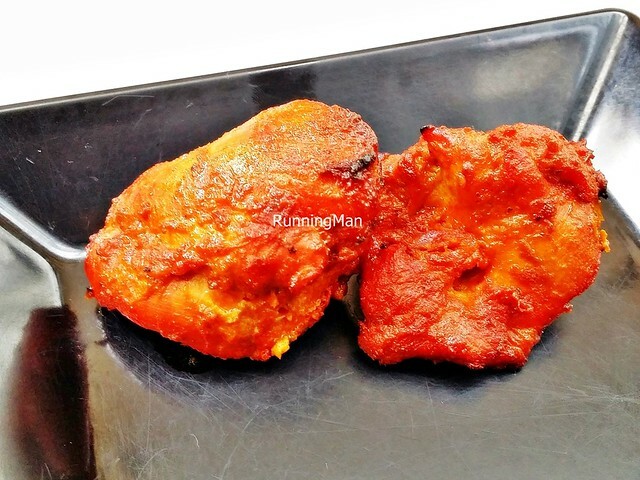 The Tandoori Chicken fares slightly better, with some moisture, and the meat on bone seems a tad more tasty. 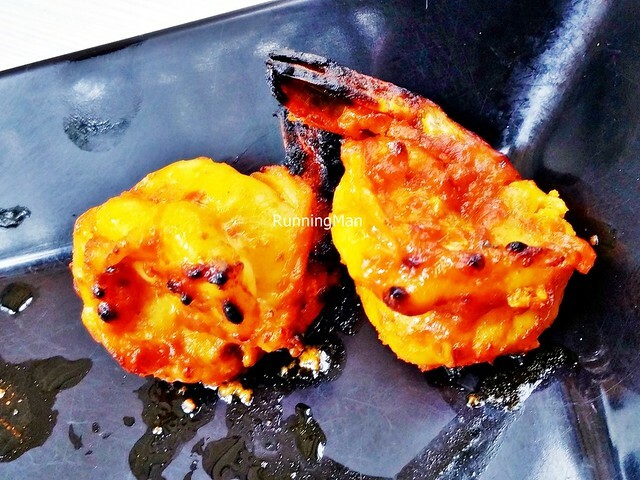 The Tandoori Prawn are large and meaty, moist, and most importantly, very fresh. Love it! The Mutton Seekh Kebab carries good flavour from the spices and herbs stuffed within, but is rather dry, and need the mint sauce. Overall, the Tandoori Platter is great for sharing, either as an appetizer or as a main course, worth ordering. 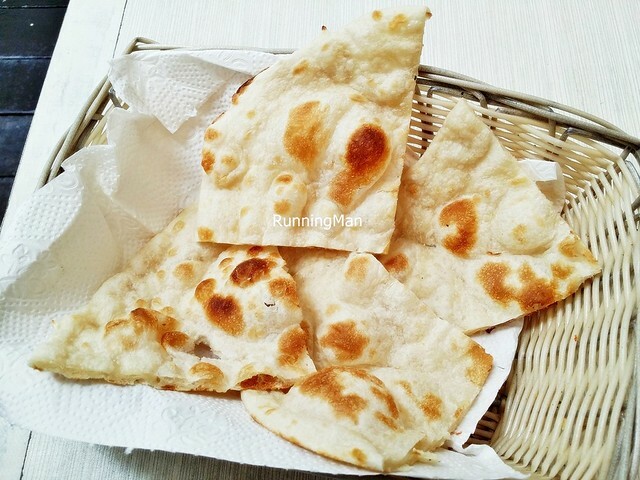 The Plain Naan (SGD $2.40) is a good way to judge the skill of a North Indian chef. The version here is soft, with a slight fluffy texture, and good dough flavour without being too thick. It tears apart easily, and is able to soak up wet curries well. 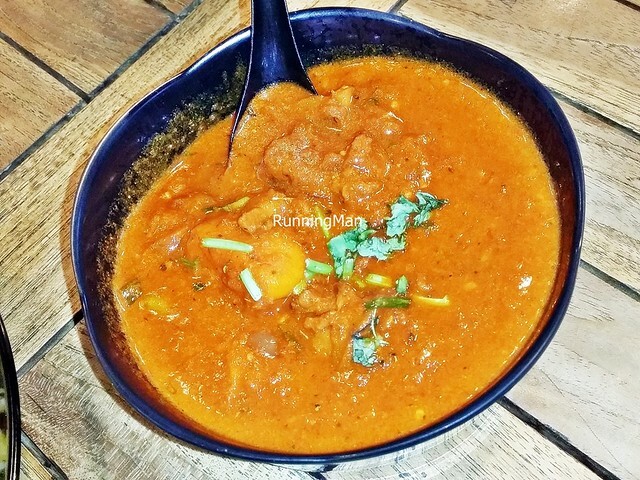 However, dry curries combined with the dry texture of the Naan, makes it unpleasant to eat, and this should be avoided should you order a dry curry. 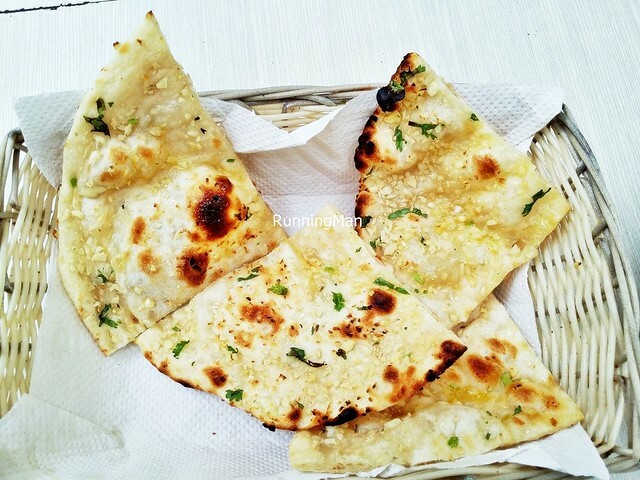 The Garlic Naan (SGD $3.60) is fragrant and good enough to eat on its own, with a nice amount of garlic and herbs. I like that the taste isn't sharp or pungent. 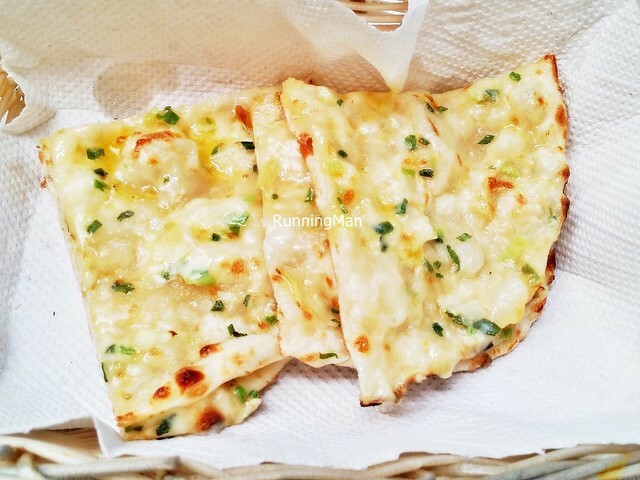 The Cheese Naan (SGD $3.60) is somewhat oily, but I like that the cheese is nicely melted and stringy, and the addition of fresh herbs lend a nice aroma. 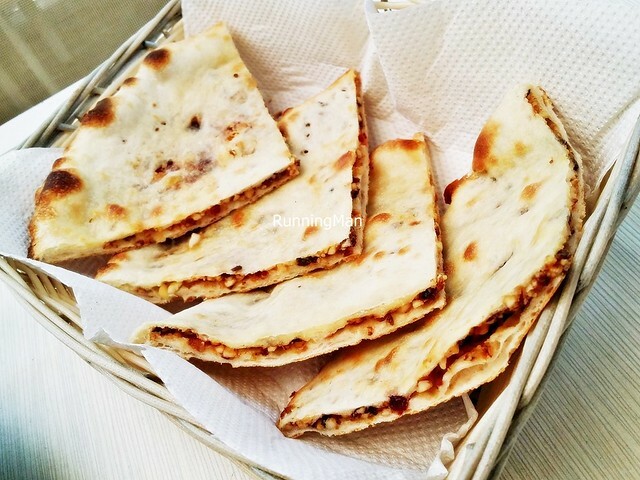 The Kashmiri Naan (SGD $6) is stuffed full of nuts and dried fruits, making the overall taste both savoury and sweet, and with a contrast in texture between the soft naan and the crunchy nuts. Very healthy too! 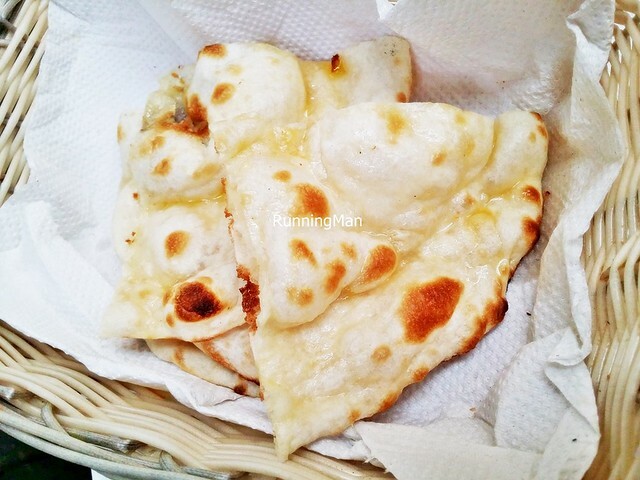 The Butter Naan (SGD $3.60) was a surprise, because it's not as oily as other versions elsewhere, and has a slight crispness to the exterior. Good! 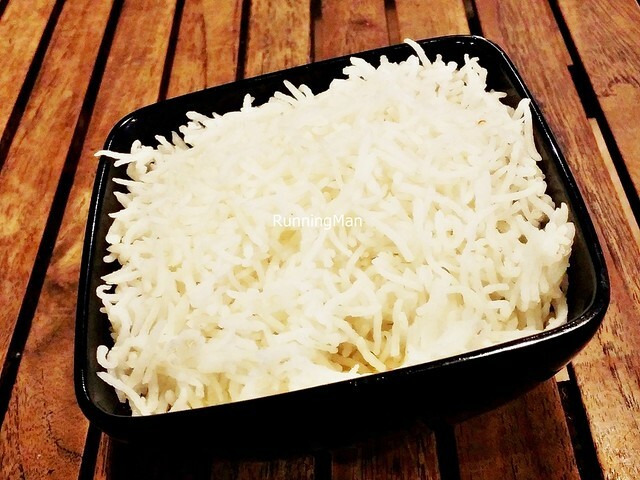 The standard bowl of Plain Basmati Rice (SGD $2) is cooked well, with the grains separating easily, and the rice has a slight fluffy texture without being sticky or overly soft. Love the floral aroma when it's served. Decent, goes well with wet or dry curries. The Lemon Rice (SGD $6) has that slight zesty zing in the taste, but the lemon juice isn't overwhelming, not even the slightest bit sour. 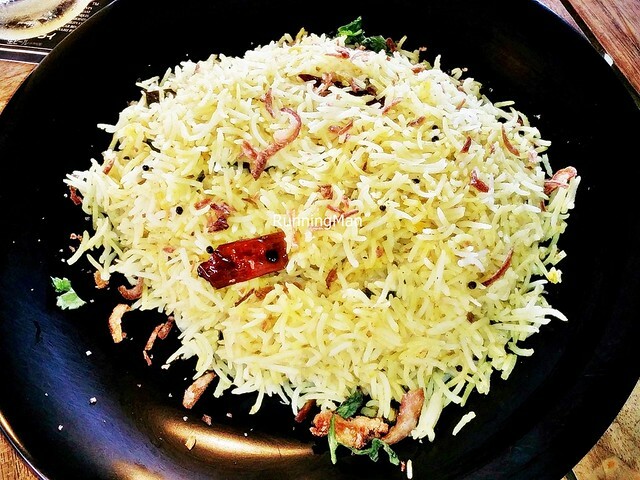 The rice is fluffy and separates easily, and very fragrant. 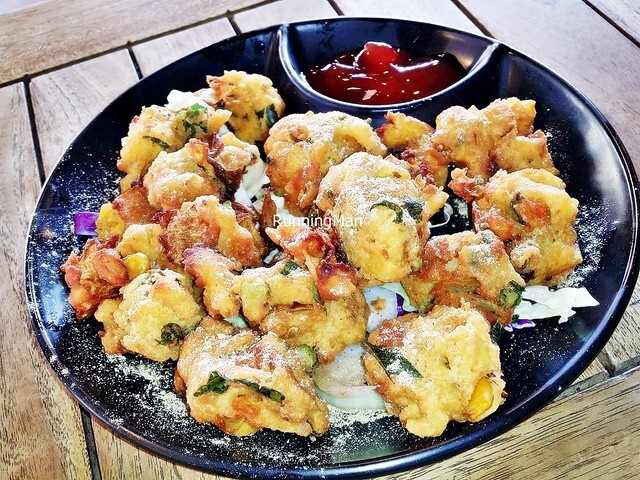 The Vegetable Pakora (SGD $6) features strips of onions, battered in a chickpea flour, and deep fried. Semi-chewy and semi-crisp in texture, this makes for a great appetizer or bar snack. The savoury taste lends itself well to drinks, and I'm glad it's not overly salty. However, I wish the Pakora were slightly more spicy. 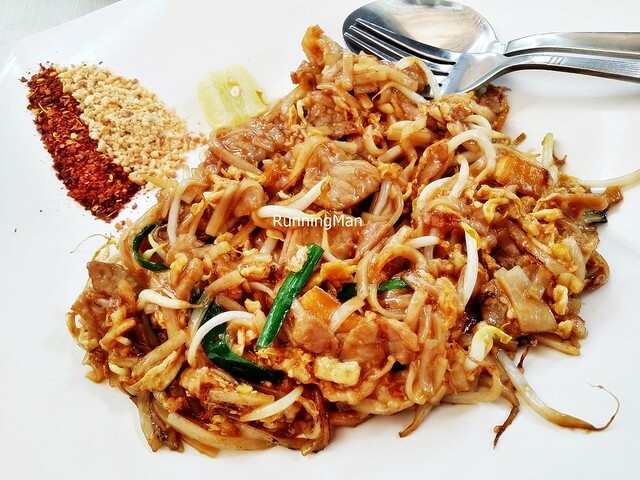 The Pad Thai Pork (SGD $12.90) has generous portions of ingredients, including many slices of grilled pork and beansprouts. 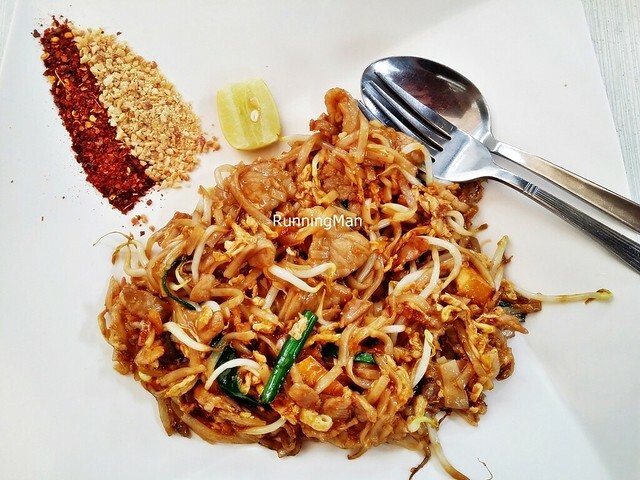 While it has good flavour and some wok hei (breath of the wok), it is not balanced according to Thai tastes, as it tends towards the savoury, salty side, while having very little spicy, sour, or sweet taste. Also, the pork has slight gamey taste, an issue with freshness.